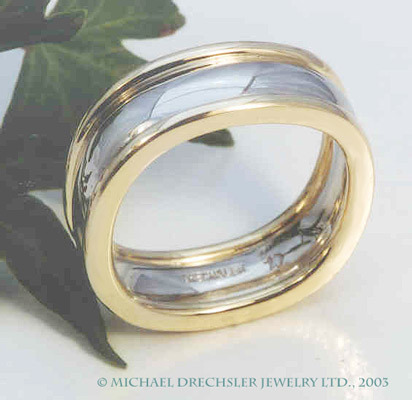 Michael Drechsler Jewelry Ltd. - For Him ! 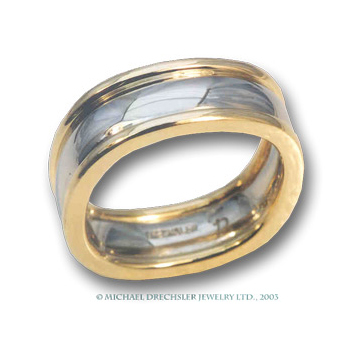 Man's 19 Karat white gold band flanked by Two 18 Karat yellow gold bands. The ring is countoured, comfort fit and is 8 millimeters wide. Gold weight 19.7 grams.